Photography bags have a reputation of being comically large — lenses! Accessories! Tripods! — when, truthfully, packing light can be just as effective as bringing all of your earthly possessions to a shoot. 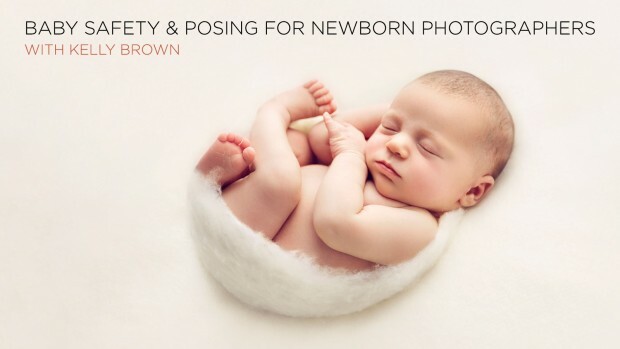 In newborn photography, though, it’s a little different. New babies have a lot of needs, not to mention parents whose world has just become radically different than it was just a few weeks ago. If you’re going to be shooting on-location, you need to not only be prepared for the inevitable messes, but also have something in the bag for mom and dad, too. In her master class, Newborn Photography: Props and Posing, Ana Brandt broke down what she keeps in her bag — which, she says, is actually a bag made to carry scrapbooking supplies. –Burp cloths: “We just cut it,” says Ana about her small squares of absorbent material, which she hides in the props she uses with the baby. –Aquaphor: Similarly, says Ana, newborn skin frequently experiences peeling, which she also has to retouch. This gentle lotion helps minimize the appearance. “It’s the best thing for babies. Pediatricians recommend it,” she explains. Peeling is perfectly natural, but as a photographer, any way to reduce retouching is a smart investment. “It will save you hours of retouching,” she says. Of course, Ana also bring props, outfits, and other accessories — but these basics, she says, always come with her on location.